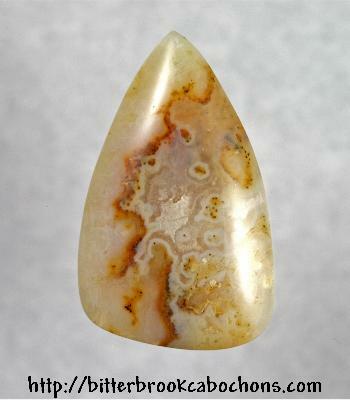 This could be Ocean Jasper, but I have doubts. It's very pretty, however, and freeform cut into a lopsided triangle. 32.5mm x 19.5mm x 4.5mm. Weight: 21.30 carats.